A rendering shows an aerial view of the BHHS Modernization Project. Photo Credit: DLR Group. 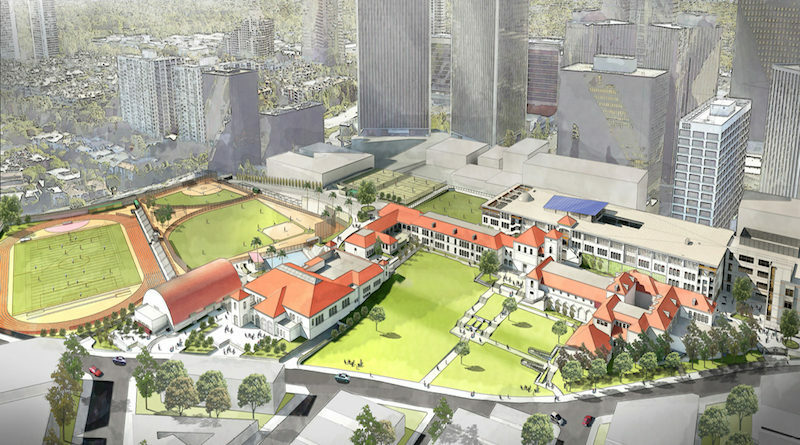 BEVERLY HILLS, Calif. — The DLR Group will provide integrated master planning, architecture and interior design services for the long-awaited Beverly Hills High School (BHHS) Modernization Project. The project entails a complete modernization that includes additions to the 510,000-square-foot school’s B1, B2, B3 and B4 buildings. In what BHHS calls a “full structural seismic retrofit,” the new campus will be a combination of modernized existing buildings as well as new buildings, designed to harmonize with the original 1928 building. Significant work will be done to Building B1 and Building B2 in Phase 1 of the modernization project. Construction for B1 will include a new media center, new college and career centers, new public restrooms, teacher workrooms, staff offices, and a reading center. Construction for B2 will include 10 Classrooms with flexible partition walls, new public restrooms, conference and workrooms, speech and independent study areas, principal and staff offices, counseling center, and an ASB Center. The Beverly Hills Unified School District (BHUSD) contracted the DLR Group as the Architect of Record for the project in July of 2012. SCN originally covered this project back in November of 2011 when the DLR Group won a conceptual design competition by a unanimous vote of judges to modernize Beverly Hills High School at an estimated cost of $150 million. Since then, Karen MacIntyre, RA, LEED AP BD+C with the DLR Group, says that renovations on the first two buildings B1 and B2 are currently underway, and are scheduled for completion in 2021. The DLR Group and BHUSD officials remain tight-lipped about the project, as a lawsuit has been filed against the Federal Transit Administration and the Los Angeles County Metropolitan Transportation Authority for a different kind of construction project underground. The Los Angeles County Metro has plans to drill a subway tunnel 70 feet below BHHS at the same time construction of the modernization project, which started back in April, continues for the next 30 months. According to the Los Angeles Times, a $9-billion subway extension, commonly referred to as the “Purple Line,” will be broken up into three phases that includes connecting the current terminus in Koreatown to Beverly Hills and Century City by 2025. In January, the school district announced that it was filing a lawsuit against the FTA, and the Metro, but is still moving forward with plans for the modernization on BHHS. At full build-out, nearly the entire 24-acre site at BHHS will be redeveloped to maximize usable area for regulation-sized athletic fields, and to create a pedestrian-focused campus by placing parking underground. The Swim Gym made famous in the movie “It’s a Wonderful Life” will be restored, and a new pedestrian plaza will replace the existing Heath Avenue that cuts through the campus. New educational specifications will guide the development of innovative 21st Century learning environments, focused on learning villages and flexible common space. The facility program includes three different theaters, a highly advanced TV studio, a robotics lab, an art gallery/welcome center, a fitness club, a planetarium, new gymnasiums and athletic fields, and an Olympic-size aquatics facility. Tao said that Phase 1 is currently in the “construction document approval phase,” and that plans for buildings B3 and B4 are forthcoming. “Eventually we’re going to do [Building] A, but that’s not on their agenda yet,” said Tao. 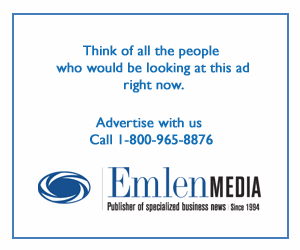 A report from the Los Angeles Times contributed to this story.